Hidalgo County Sheriff Eddie Guerra speaks during a news conference about SB 4 on Thursday May 11, 2017 at the McAllen Convention Center. It is my honor and privilege to serve the citizens of Hidalgo County as your sheriff. As the top law enforcement officer for the county, it is my duty to take advantage of every resource available to protect our community. For this reason, in September I was proud to announce my partnership with Governor Greg Abbott in supporting the formal opening of the Texas Anti-Gang Center, or TAG, in McAllen. The Rio Grande Valley TAG center was made possible through a collaborative effort with the McAllen Police Department and the city of McAllen by providing the building and infrastructure for the TAG center. Through Governor Abbott’s initiative on combating gangs and criminal organizations, TAG centers provide local, county, state and federal law enforcement agencies an environment to work side-by-side and hand-in-hand in the development of intelligence and the ability to carry out operations as a unified force. Governor Abbott’s commitment to the Rio Grande Valley TAG and TAGs throughout Texas has enabled us to share information and work together toward one common goal: fighting organized criminal activity by gangs and Mexican drug cartels in our state. Under Governor Abbott’s proposed plan, an additional $10 million in funding will support TAG centers throughout the state. This funding is instrumental in combating human smuggling, drug trafficking and the violence associated with gangs. The governor’s plan doesn’t stop at getting the criminals off the street; it works to keep them off the streets. It calls for restrictions when probation or deferred adjudication for gang members can be applied. It also calls for mandatory sentencing for gang members that are convicted of human trafficking and sexual assault. The plan would establish laws that have consequences for persons that allow their homes or property to be used as stash houses, making it a criminal offense. Upon conviction of an individual under these laws, their homes and property would be forfeited with the proceeds going to charitable organizations. As sheriff, I can tell you that when it comes to protecting our community from gang violence, no one agency can do it alone. Gangs don’t worry about jurisdictions and, often, they use this to their advantage. They count on the fact that law enforcement agencies concentrate on their jurisdiction first. If the gangs don’t worry about crossing jurisdictional lines in the commission of their crimes, neither should law enforcement. The governor’s initiative gives us that ability. By working together, law enforcement agencies have made strides in combating gang-related crime. By working with the governor and the Texas TAG network we can continue to develop and implement strategies and secure resources that will enhance these efforts to make a difference throughout our great state of Texas for years to come. This is our committed effort in making our home, our community and our state a safe and secure place to live and raise families. God bless you, God bless the Rio Grande Valley, and God bless our great state of Texas. J.E. 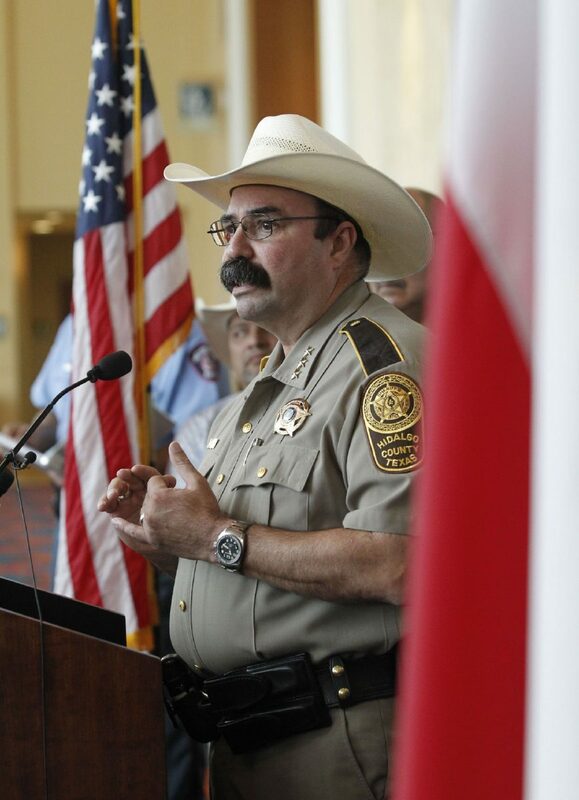 “Eddie” Guerra is sheriff of Hidalgo County.